The term Wi-Fi refers to a set of standards, which set the specifications for transmitting data on a wireless network connection. A wireless network uses radio waves to receive and send data by translating data into a radio signal using an antenna. Wireless network installations avoid the costly process of introducing cables into a building, or connections between various equipment locations. The initial WiFi survey is the most important part to get right when designing a wireless network. A physical RF survey is performed on-site to ensure the wireless network design meets requirements for coverage and capacity. With the massive increase of laptops, smart phones and tablet devices that are brought into work it is not only about providing coverage but about providing the right amount of capacity. The wireless network design will consider your existing network, existing network policy and future networks demands. The wireless network that we design for you can cater for future demands and provide you will the security that your organisation requires. Our dedicated team of professional installers will work with you to install your wireless network with little or no disruption to your business; we will ensure that the application design requirements are met right first time. Upon completion of the installation we will provide on site training for personnel to be able to use and manage the system with ease. 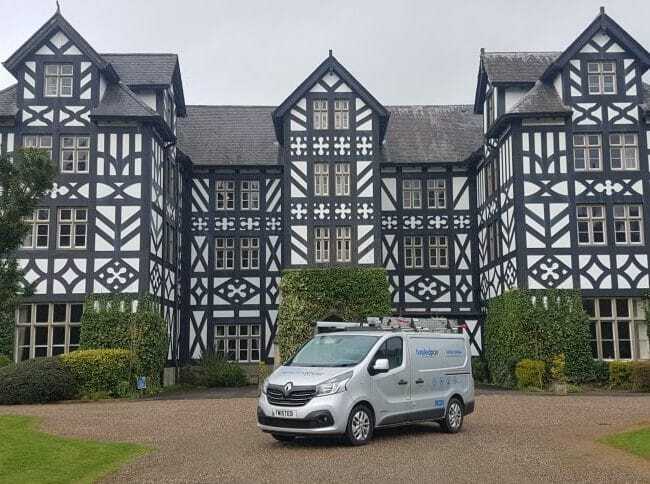 Upon completion of the installation phase we will perform a final wireless site survey to verify that the network design and your specific requirements have been achieved. A post installation survey is the best way to prove that we have provided the coverage and capacity that we had originally designed for. Please contact our experienced sales team to discuss applications that suit you.